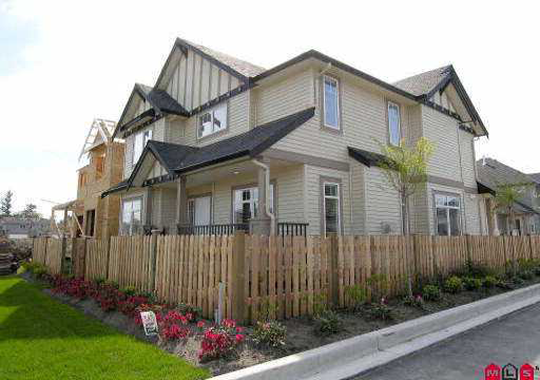 Poet's Trail - 6195 168 Street, Cloverdale, Cloverdale - Urban City Rentals Inc. Poet's Trial is a unique complex located at 6195 168th Street in Cloverdale. The wood frame building was built in 2005. There are 39 homes and the sizes are about 3000 square feet detached strata with the largest back yard facing Northwest. The complex is popular for location and featuring 2" Hunter Douglas blinds, 9' ceilings, open concept great room with huge kitchen, large island, maple cabinets, Kohler faucets, dark laminate flooring. Close to Cloverdale Athletic Park, Northview Golf Club, Surrey Golf Club, Elementary & Secondary Schools, Shopping, Highway #10 & 64th Ave, and Transit.